As part of the Tanzania Government’s effort to transition the country from low to middle-income economy, Tanzania is set to adopt the Malaysian Model of Development; The Big Fast Results Initiative in its own development outlook to be implemented beginning of 2013-2014 financial year. A comprehensive system of implementation will focus on six priority areas of the economy; energy and natural gas, agriculture, water, education, transport and mobilisation of resources. In February, Tanzanian President Jakaya Kikwete unveiled the Big Results Initiative which models the Malaysian development strategy and has been adopted by Rwanda and Nigeria as well. The announcement ensured that the objectives of the policy will be delivered with mechanisms created by Tanzania’s top officials. Commenting on Tanzania’s 2025 Millennium Development Goal Tanzanian Prime Minister Mizengo Pinda said only 12 years remained and the Tanzanian government is focussed on applying the Big Results Now initiative to ensure there is clear implementation of various projects. Malaysian policy experts arrived in Tanzania to coach 300 Tanzanian experts on the Initiative and how Tanzania can transition to middle-class economy using the six priority areas articulated in the Tanzania National Development Vision 2025. Malaysia, now an industrialised country who has one of the lead economic records in Asia had the same level of development as Tanzania when it gained independance and is expected to become a developed country by 2020. 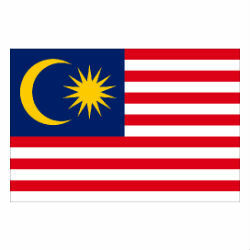 Malaysia is a solid development model for Tanzania considering the many similarities between the two nation’s economies such as mining and agriculture being the initial driving forces for growth.